If Yoshi wouldn't exist, what would anda do? What feature do anda like (or love) most about Yoshi? pilihan peminat: Everything! It's what makes him Yoshi! 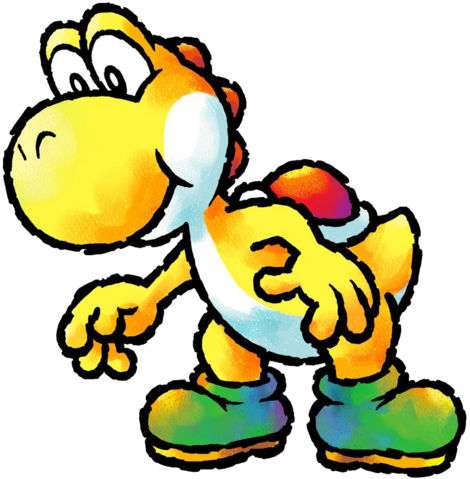 Would anda like to tickle Yoshi's Feet? Which Yoshi-Related Character do anda want to be in SSB4? If anda woke up as a yoshi, what would anda do? What do anda like most about Yoshi? any of anda got a strange message from someone named "lolmat"? and if so, this message looked like this? "You will die. I gonna kill you. Because you're Yoshi-Fan. That's not a joke." anyone got this message?? atau I am the only one? “So, anda can’t wait to start?” Bowser berkata with a sneer as he closed the distance between him and the green plumber with just one stride. Luigi blinked in surprise. Bowser’s expression seemed void of all sorts of hidden tricks up his sleeve (if Koopas wore sleeves). If Bowser was planning something especially devious, he certainly wasn’t menunjukkan it right now. “Looks like I’ll have to deal with anda guys myself,” Kamek berkata in a sneering tone. Luigi and Yoshi could tell that he wasn’t going to try any of his tricks anytime soon. “Tired of your games?” Luigi taunted, though he wasn’t sure if it really was a taunt. telah diberi the way Kamek sneered and his abrupt shift of tone compared to when he’d summoned his shadow underlings, he wasn’t sure if his response to Bowser’s right-hand man—who, even Luigi himself has to admit, was a powerful magician in his own right—was a taunt atau a bluff. “Kinda like the whole point of us being ‘sent back’ to Yoshi’s Island, then to World Seven and finally Luigi’s Mansion,” Yoshi replied flatly, knowing that, as Kamek had pointed out, he’d already telah diberi hints about the foes they were set to face and they had been too slow to figure it all out. “Let’s a-go!” Luigi berkata as he and Yoshi made their way toward the door plainly waiting at the end of the hallway. The green plumber, not wasting a saat to spare, opened—well, lebih like yanked—the door open, and they both rushed to whatever was waiting at the other side. Man, haven't telah diposkan in, like, forever. Anyway. I just added three lebih chapters to "Luigi Gets His Hero On"! a poll telah ditambah: Only 27 lebih fans, and we will hit 4,000!